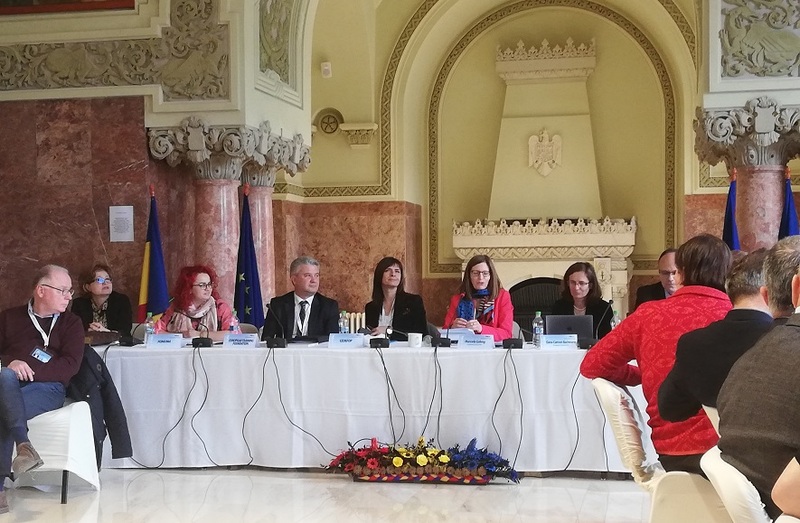 Vocational education and training (VET) excellence and key competences were at the centre of discussions at the meeting of Directors General for VET (DGVT) in Alba Iulia, Romania, on 17 and 18 March. Cedefop Acting Executive Director Mara Brugia and expert Dmitrijs Kuļšs presented preliminary findings of Cedefop’s work on key competences, notably a study on literacy, multilingualism and digital competences in initial VET. ‘It is difficult to find a Cedefop activity that does not touch upon key competences in one way or another,’ Ms Brugia stated. An analysis of European qualifications framework level 3 and 4 qualifications testifies their increasing importance in VET to prepare learners for broader occupational fields and more complex job tasks, and enable them to progress to higher levels. In recent years, digital skills have been addressed most frequently, Cedefop’s VET policy monitoring revealed. Few countries were working explicitly to promote citizenship, cultural, personal and social competence and, within them, career development and sustainable development skills. As the agency’s analyses of skills requirements and training provision for employees indicate, key competences also need to be addressed in continuing training. However, most policies support them in initial VET. Measures promoting literacy and digital competence for adults by many Member States reflect the need to embrace technological change and upskill the low-qualified. Preliminary study findings also indicate an emphasis on policy actions promoting digital competence compared to literacy and multilingualism in initial VET, Mr Kuļšs explained. In many cases, country policies cover several key competences or all of them at once. Policies usually embed them in programmes and curricula, less so in standards, assessment of learning outcomes or teacher training. Whether they are considered key competences in the narrow sense or they are occupation-related, depends on the study field. Curricula analyses of programmes in accommodation and food service, manufacturing and construction confirmed this assumption. A workshop in Thessaloniki on 19 and 20 September will reflect on the final study findings. Cedefop invited DGVT members interested in the theme to join. DGVTs’ debates focused on transversal skills, entrepreneurship and digital competence. The debates were informed by Cedefop papers. Mr Kuļšs also chaired the digital competence workshop while another Cedeofop expert, Lore Schmid, reported on the outcomes of DGVTs’ discussions on VET excellence. Informing participants about some of Cedefop’s activities, Ms Brugia gave a sneak preview of its initial real-time data on skills requirements in today’s jobs. These data – to be released shortly – are valuable for job mobility within and across countries and crucial for reskilling and upskilling. To help countries design and put in place coherent pathways and services to upskill low-qualified adults, Cedefop has developed an analytical framework, which will be discussed at a policy learning forum organised jointly with the European Economic and Social Committee in May. To help promote adult skills development, understanding companies’ staff-training activities and related challenges is crucial. Cedefop’s analysis of the most recent European continuing training survey indicates some improvement in training provision and participation and in narrowing the gap between small and medium-sized and large enterprises. Nevertheless, work towards the 2020 objectives countries set themselves needs to continue. Employees’ skills development should be seen as a shared responsibility by all parties involved, Ms Brugia underlined.